The world of real estate can be very superficial, and seeing the comments at an early 2007 party about the "gravy train" never-ending is bittersweet. The reader knows that the bubble is about to pop, and badly, but the characters are all convinced that there is more money to be made in the housing market. The agents at the mortgage company are cutthroat, some "stealing" leads out from others and congratulating themselves for it, while the reader knows that all these people are about to lose everything. It's with the same kind of bittersweet and almost dread feeling that I read the romance between Leila and Ashton, because the novel opens with Leila on the plane being deported. As much as the two are in love, I already know it's doomed. Seeing he flashback chapters to Leila interacting with her father Manny, or the ones further back where he was a revolutionary in Colombia are also heartbreaking. There is the same prequel problem with them, in that we know Manny survived to come to Arizona with Leila, which removes some of the tension involved in his activities. We also get to learn quite a few things that aren't discussed later on, so there are still a number of surprises in store as you read the novel. 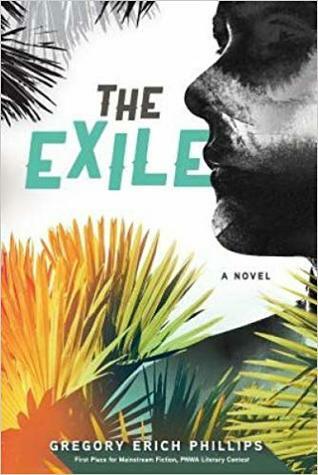 Once it moves to the "present day" with Leila in Cartagena and facing the dangers of the city as a deportee with no contacts, no family, and no money, there is a lot more suspense and worry for everyone involved. This book is wonderfully told, and I think it would make for a great movie as well. Read an interview with Greory Erich Phillips.